LinkedIn lead generation is a mystery for a lot of companies. One of the biggest challenges is that there’s a fine line between generating leads and spamming. Sometimes it’s difficult for companies to walk that line because they assume everyone on LinkedIn is open to being approached for sales. That’s not the case. If your main objective for LinkedIn is lead generation, you’ll probably benefit from upgrading to a premium account. LinkedIn Premium is broken into three different levels, based on your goals. 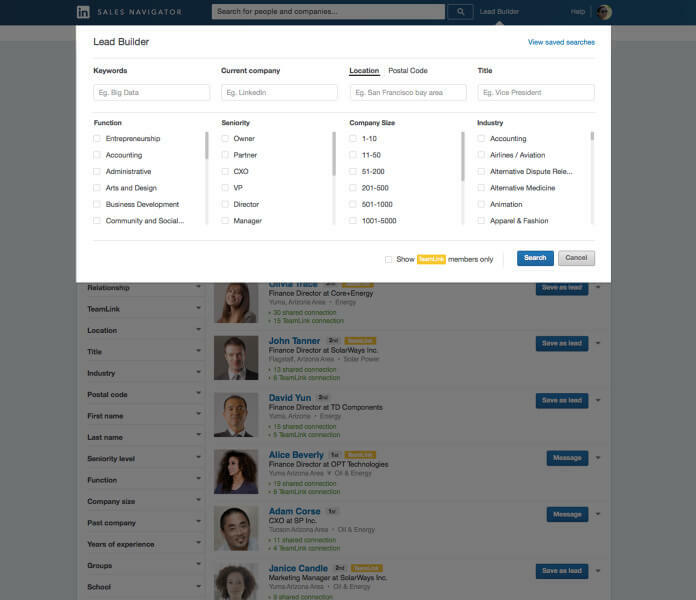 For sales and lead generation, your best bet is the Sales Navigator version, which is available for both individuals and teams. 15 or 30 free InMails per month, depending on whether you have an individual or team account. Advanced search to help you find better prospects. 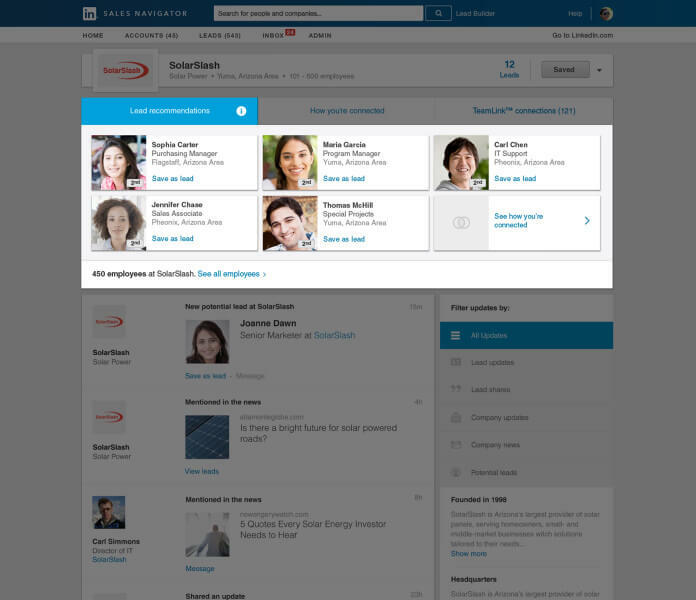 InMail is LinkedIn’s messaging system that allows you to send messages to people that aren’t in your network. It’s perfect for sales people because it gives you the ability to reach out to new prospects that you have no other way of contacting. Also, InMail has a much better chance of being received than a normal email since you don’t have the risk of landing in the spam folder. Just remember to use your InMails wisely. After you’ve used the free ones that come with your premium account, you’ll have to pay for any additional InMail messages you want to send. The best part about LinkedIn is you’re able to bypass gatekeepers. Instead of cold calling the office and trying to get past the receptionist, you can go directly to the decision maker. Start by identifying the decision makers. For instance, it wouldn’t make sense to contact the CEO of an enterprise-sized company to pitch your payroll software. Look for the head of the human resource department because they’re more likely to be in charge of those decisions. Generally speaking, social media is not the place to hard sell your products and services. Sending an InMail message asking someone to buy your product most likely isn’t going to work. Think of LinkedIn as a way to bring prospects into the sales funnel, rather than close the deal. Offer a free trial, demo or at the very most, an exclusive discount code. You want to give some sort of value up front in order to introduce your company. To sweeten the deal, offer something above and beyond what’s on your website to the general public. For instance, if you generally give a 30-day trial, offer your prospect a 60-day trial instead. Here’s why this is important. Most of the people you approach are going to check your website after you message them. If they see that you offer a 30-day trial on your website but are giving them 60 days, they’ll be more likely to take action. People love getting an exclusive deal. Is the only time you use LinkedIn when you’re sending messages to get sales? If so, you risk coming off as a spammer. Being active on LinkedIn gives you a chance to build a following and establish more authority. Once you’ve built up your presence, when people see a message from you they’ll be more likely to recognize your name or face. 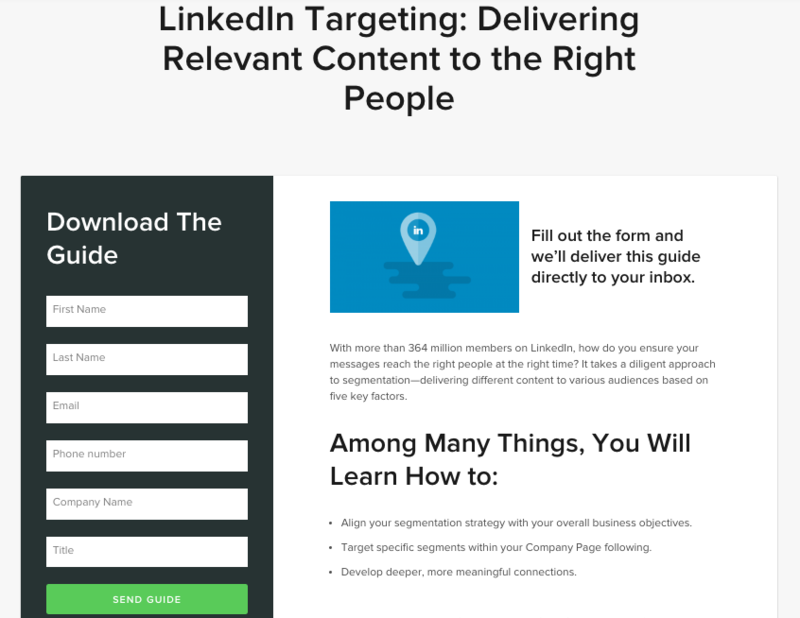 In order to make sure your posts are getting in front of the right people, you can use Sprout Social’s audience targeting feature for LinkedIn. 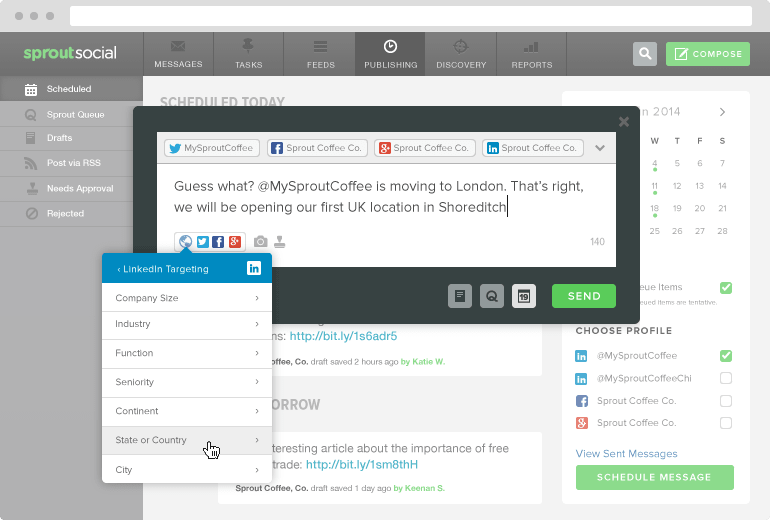 You can target your posts by company size, industry, location and more. After setting your audience, your post will only be shown to people that match your targeting options. That allows you to share posts that are likely to resonate with a specific demographic. You can give the LinkedIn post targeting feature a 30-day try here. Being active goes beyond posting content. It also means engaging with other people. If your prospects post on LinkedIn, get in the habit of liking and replying to their content. Another great way to engage on LinkedIn is through Groups. Groups account for 96% of posts and 86.3% of conversions on LinkedIn. The benefit of groups is they’re targeted to a specific niche or demographic. LinkedIn has groups for everything from gardening to graduates of specific colleges. They also have groups for specific industries. Find groups your target audience is most likely to be in and start engaging. Don’t just share links to your own articles. Reply to other people’s posts and share content from sites other than you own. The more value you bring to groups, the more you’ll stand out. LinkedIn has made great strides in its publishing platform, LinkedIn Pulse. At one point, publishing to LinkedIn Pulse was limited to a select few thought leaders. But now that it’s open to the public, you should be taking full advantage of the opportunity. Instead of using LinkedIn strictly for curating articles, use it as a platform to publish original long-form content as well. 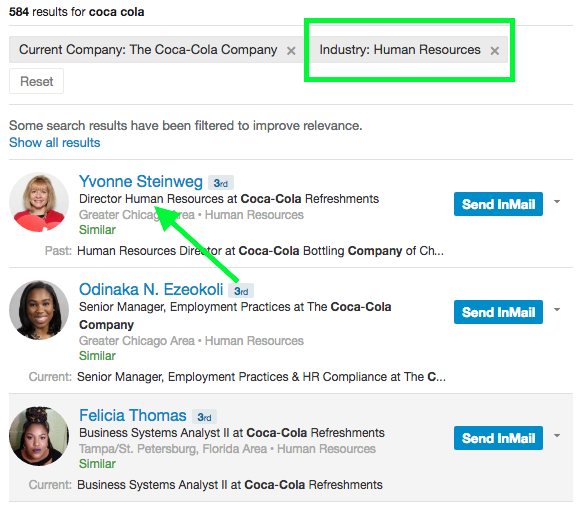 Since it’s still in the early stages, LinkedIn Pulse is ripe with opportunity to establish yourself as an influencer. You can start by surveying existing content related to your topic or industry on LinkedIn Pulse. Find which posts performed well, and use that information to create your own content. Becoming an authority through your content is a great way to generate leads on LinkedIn without being pushy. According to data from the Content Marketing Association, 68% of online buyers will spend time reading content published by a brand they’re interested in. When it comes to social media advertising, Facebook is known as the top dog. However, LinkedIn Ads may be a better option for B2B companies. After all, it’s the top social network for B2B marketers. LinkedIn also generates the highest visitor-to-lead conversion of any social network at 2.74%. That’s three times higher than Twitter or Facebook. LinkedIn Ads provides some great targeting options to help get your message seen by the right people. You can have your ads displayed to people with a specific job title, salary or other criteria. Your landing page for your ads is crucial. Where you decide to send your traffic can mean the difference between a lead and a missed opportunity. The more you ask of your traffic, the lower your conversions will be. People are much more likely to give you their email address than pull out their credit card to make a purchase. Instead of linking your ads to a sales page, you can direct them to white papers, reports or other valuable lead magnets. The goal is to generate potential leads, not get people to buy. The people that click on your ad are near the top of your sales funnel, so you need to warm them up first. Once they’re in your funnel, you can slowly start to introduce your product and ask for the sale. But don’t expect people to click on an ad, land on a sales page and make a purchase. You’ll be in for a big disappointment. So can you really generate leads with LinkedIn Ads? Sponsored InMail allows businesses to send InMail messages in bulk and target prospects based on different demographics. DocuSign targeted by location, company size and job title. The campaign allowed DocuSign to grow its Sales Guru community from 550 to over 800 members. Additionally, it generated over 350 registrants for the roundtable event. The follow up is the most important part of the process. If a lead never replied to your LinkedIn message, follow up with them after a week. There’s a chance they may have overlooked your message or just put it on the back burner. You don’t want to miss out on a potential sale because of an oversight. You also need to follow up with people that take you up on your initial free offer. Hopefully you have an onboarding process that includes follow-ups. If not, set reminders to reach out to your leads after a set period of time. 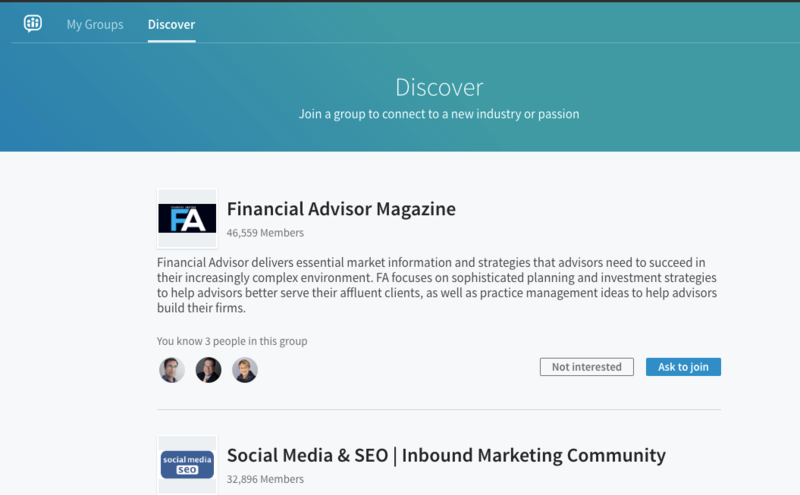 Even though LinkedIn isn’t as crowded and noisy as other social networks, there is still competition. There’s a chance your leads are being approached by multiple companies, so you have to work to stand out. That means taking the extra step to follow up and show that you really want to earn their business. On average it takes four follow up attempts before you close a sale, but 44% of sales people stop after one follow up. So if you’re giving up after the first or second attempt, you’re missing out on potential sales. You have to be persistent. The good thing is LinkedIn makes it easier to stay in touch because you aren’t restricted to sending annoying sales emails to leads each week. After you’ve made the initial contact, added them to your network and hopefully joined some of the same groups, they’ll be seeing you pretty regularly as they browse LinkedIn. Publish great content in groups and on LinkedIn Pulse, and send occasional follow up messages to leads. At the same time, you want to use a tool that can help you manage your LinkedIn presence as well. 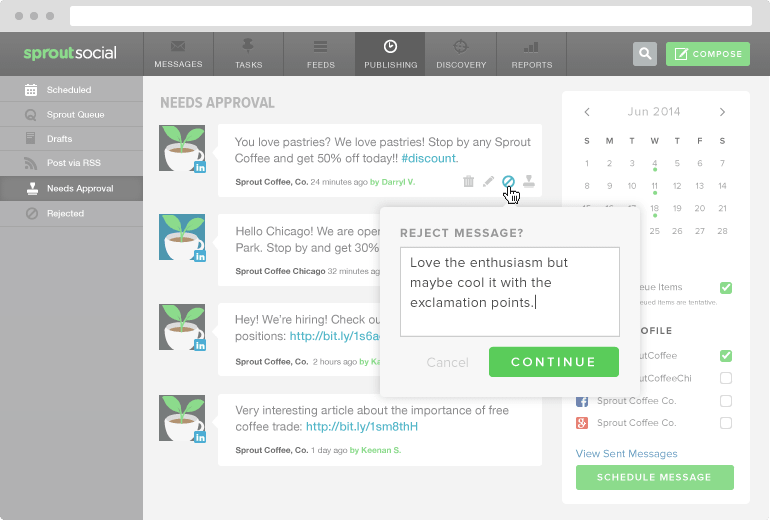 With Sprout, you could easily manage your efforts, which could put you in a much better position to build trust, familiarity and can eventually increase sales. LinkedIn lead generation boils down to how much effort you’re willing to put in. Consistently publishing content, engaging with others and running paid advertisements is a recipe for success. If you’ve been struggling to generate leads on LinkedIn, give the tips and tactics above a try.